Gallatin County — On December 17, 2016 from 8:00 p.m. to 02:00 a.m. several local agencies participated in a Multi – Agency patrol to reduce D.U.I. 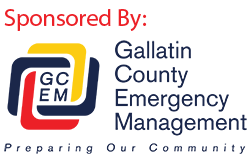 drivers and promote the use of safety belts in Gallatin County. This patrol is part of the national “Drive Sober or Get Pulled Over” crackdown. The agencies involved were the Montana Highway Patrol, Bozeman Police Department, Belgrade Police Department, Montana State University Police Department and the Gallatin County Sheriff’s Office. These agencies put 13 extra Officers on streets and roadways of Gallatin County in an attempt to locate D.U.I. drivers and prevent a tragedy from taking place. The weather was less than perfect as the temperatures fell to below -18. However, the officers worked hard to provide a safer Gallatin Valley and managed to produce the following numbers. We are committed to reducing D.U.I. and raising awareness about wearing your safety belt. We will be working more of these joint patrols in the future. Alcohol can enhance the side effects of medication. Avoid mixing alcohol with any medications, and ask your doctor about possible consequences of doing so. If you plan to drink at a party, bar or restaurant, have a sober friend do the driving, or find another alternative. Expect your friends and family to have a sober driver and let them know it. Provide safe transportation for your party guests—as well as non-alcoholic beverages. Call 9-1-1 to report an impaired driver. The best defense against a drunk driver is wearing a seatbelt – everyone, every trip, every time. Gallatin County Sheriff Manhattan Police Dept. Bozeman Police Dept.